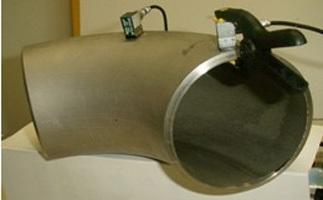 LUS-5000 Laser ultrasonic scan system is a nondestructive inspection system, which can be used to study the ultrasound propagation in an arbitrary-shaped object, and also be used to the nondestructive inspection of materials and structures. 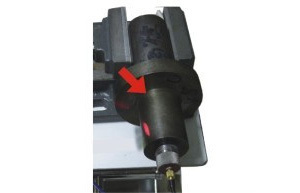 ◇ Used to evaluate the ultrasonic probe, the structure health and the material performance, etc. 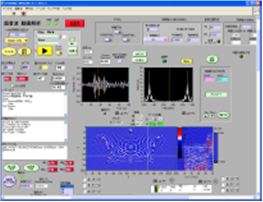 ◇ Display image：Ultrasonic propagation moving image, B-scope image (speed image ), A-scope waveform etc..
◇ Moving image speed：1～30 frame/s ( variable ). 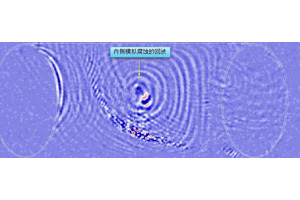 ◇ Inspection object： metal, ceramics, resin, composite material, etc..
◇ Study of wave propagation mechanism, performance evaluation of ultrasonic probe, structure health evaluation, material evaluation, etc.. 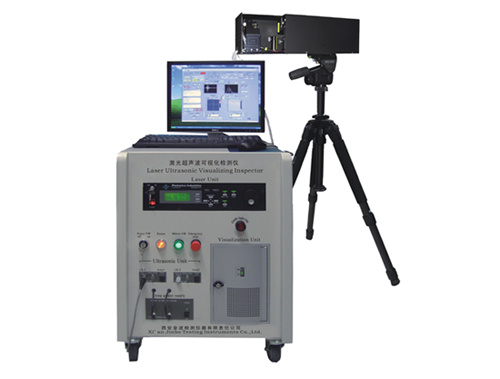 Automobile, aircraft, power plant, shipbuilding, petroleum, gas, iron manufacture, electronic component, semiconductor, etc..
LUS-5000 Laser ultrasonic scan system provides strong functional software on image and signal analyses. 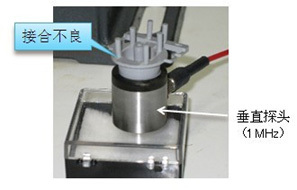 Using this system, the ultrasound propagation process can be observed on line. 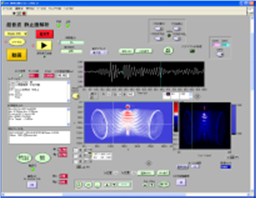 Then defects can be found easily on a display of computer. 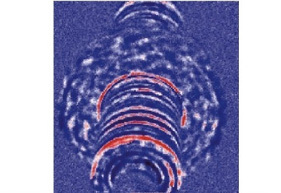 As a new useful tool, unprecedented before, it can analyze and evaluate defects. In order to research on non destructive inspection in universities or institutes conveniently, we can provide the software only, no whole system for you. In order to meet the need of not long-term needs customer, we also provide We also provide service of inspect workpice by this system services, fees according to the workload. 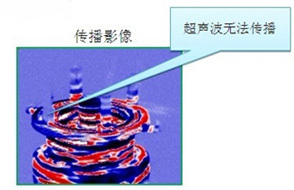 In order to understand LUS-5000 Laser ultrasonic scan system more well by users in enterprise, university, laboratory, etc., we will support a free experiment for their sample or product at the first time. In this case, transportation charge of the sample should be paid by them own. Welcome to provide workpiece that difficult or slow to inspect by traditional method to us to confirm it can inspect by this system.